You may recall there were promises made with expectations to deliver, “news you can use,” that would make your customers' lives easier and more profitable. However, just like the optimism and excitement of a first date, the second date often led to dashed hopes and disappointment. If published at all, subsequent issues were deployed whenever time permitted and communicated disappointing drumbeats of sell, sell, sell. To quote the legendary B.B. King, “The thrill is gone.” The promise to deliver value was squashed. Opportunity for engagement was one and done --- badly. Please don’t fret. Most assumed you would fail. Furthermore, they expected your pomposity. Your company’s gallant attempts to communicate value were relegated to the dumpster of broken promises, low expectations and “me too,” follow through as witnessed by the many competitive organs that came before yours. Don’t be a victim of the dumpster. 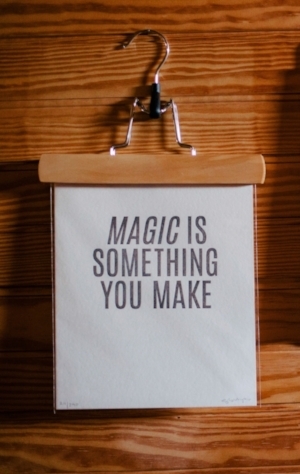 This blog highlights ways to create e-newsletter magic. More comprehensive background and further recommendations are available upon request. Set Objectives. Why do you wish to publish an e-newsletter? If the word, “competitors” followed by words, “do it” is your reason, please stop reading. Dive into the dumpster now. You will fail. However, if any of your objectives include raising brand awareness, generating qualified leads, communicating expertise, as well as informing and educating on topics relevant to your customers, than read on! Commit to an Editorial Schedule. Even before you write the first syllable, you need to develop a plan that outlines the editorial focus with assigned articles for at least the first three (and preferably six) issues. It’s similar to developing a marketing and sales plan or a technology roadmap. Determine an established frequency and resolve to keep to it for at least 18 months. Note: Special events such as trade show participation and technical conference presentations, as well as product campaign launches can and most often should be given a separate forum, whereas the e-newsletter should be employed as a support --- not the primary --- tactic to communicate your initiative. The e-newsletter should be considered a part of a more robust marketing plan. Measure. What does success look like? Set benchmarks that make sense for your business or promotion. Based on industry averages for your category, such measurements as increasing qualified leads by a certain percentage or driving targeted customers to your website to download a technical guide may be relevant. With today’s diversity of e-newsletter platforms readily available, measurement of the effectiveness of the e-newsletter itself, as well as individual content can be measured by “opens” and “click throughs,” as well as other coding and tracking methods. TMI: Too Much Information quite often sabotages the best e-newsletters. Remember, it’s a newsletter, not a newspaper or a technical presentation. Structure content for each article so that it clearly communicates the most relevant details in the first paragraph, while eliciting curiosity that entices readers to click for more information. Furthermore, limit the number of articles per issue. Drive and track qualified visitors to your website or blog. Allow them to read the complete details and explore your site for further content. This exploration will enable conversions via blog “comments,” submission forms / landing pages, and other engagements. Keep Above the Fold: For most B2B markets I’ve been privileged to participate, approximately a third of customers will view e-newsletters via a mobile device, whereby scrolling through to find content can be tiresome. Even when linking the article titles below the masthead, not all content can be programed “back to top.” Furthermore, the vast majority that will be viewing your e-newsletter via laptop or desktop will dedicate limited time to reading your masterpiece. Therefore, content placement “above the fold” ensures your most important communications appears on the screen with little or no scrolling. Mobile-friendly Is a Must. As noted in the preceding section, viewings via a mobile device are significant and continue to grow. If it’s been a while since you’ve updated your e-newsletter template, you’re most likely losing readership and gaining opt-outs (unsubscribes). Spam Me! Spam Me! A fatal sin is when your company uses one standard contact list to distribute their communications. Segregating and regularly updating distributions by industry, market, product, customer, prospect --- or whatever is applicable for your business--- is critical. Otherwise, you will “upset” (I’m being politically correct) those that feel you are invading their inboxes with frivolous information. Instead of maintaining or attempting to establish credibility, the e-newsletter may be rejected as spam or the contact will opt-out/ unsubscribe from the e-newsletter and all future digital communications from your company. Ouch! Be Respectful. There's a delicate balance between imparting credible information about your company’s product or service and distributing an all-out, chest beating commercial. Even a single sentence buried within a well-crafted article can be a poison pill. Instead, subtly remind readers why they are or should be doing business with you. This is best demonstrated through the article content itself that should include the publication of case studies, white papers, and technical articles, as well as award recognitions and industry certifications to mention a few. Let’s be real. An e-newsletter is not going to make the sale. However when published regularly with compelling content, it will create awareness and interest, thereby feeding the first stages of the sales funnel. I call this “e-newsletter magic.” This magic opens the door to subsequent purchasing discussions and customer capture. Newer PostWorkplace Safety Communication: Are Your Employees Engaged or Indifferent? Older PostFake News: It could happen to you.